A better way to search! 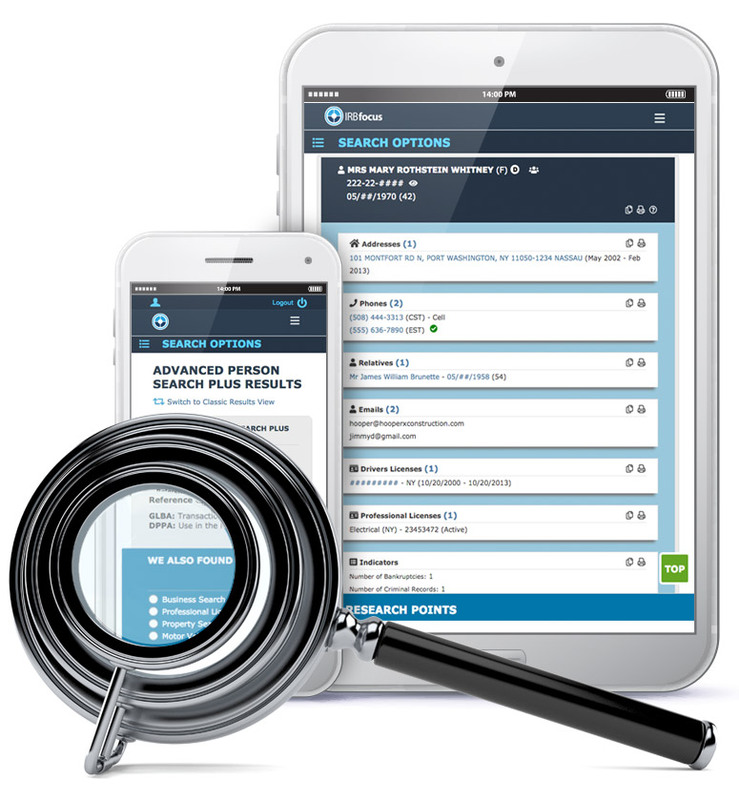 The Advanced Person Search Plus is the best way to initiate a search on any given subject. It offers a comprehensive address summary, along with names, social security number, date of birth, driver’s licenses, email addresses, phone numbers, and relatives. All of these enhancements have been added to your Advanced Person Search at no additional cost. Give the new Advanced Person Search Plus a try and see for yourself how IRB continues to bring you actionable, accurate results at the best prices in the industry.